My husband and two sons and I attended the show Saturday night. It was a fabulous show. We parked at our business on the 300 block of W. Downer Pl and walked into downtown. I felt completely safe the entire time. We walked back to our car after the show. It's too bad that people like this have to fabricate stories to make our great city look bad. Bravo to those trying to set the story straight. I attended the concert as well. Before, I parked in the West Suburban lot and then met friends at Ballydoyle. Then we walked to the Paramount, had a royally good time, and all walked separately back to our cars. No problems or incidents. Shame on this guy! Thank you for looking into it and bringing the truth to light. I agree 100% with what you said Dee! Well said! Lead on Chief. 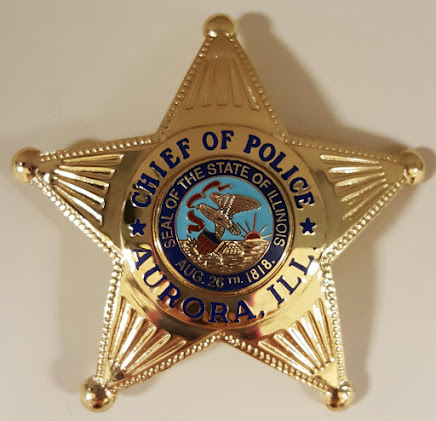 We are behind you and City of Aurora 100%. We don't need that kind of s#%t trashing up our great city. I'm not from Aurora, but was worried about going there a lot due to its reputation. Last year, I directed one show at Riverfront Playhouse (around the corner from the Paramount) and acted in the following show; meaning that I parked on Broadway three or four nights a week for ten to twelve weeks. Never had a problem. Thanks for you kind attentions. I live in Naper but I am out all the time in Aurora. I adore the Monday movies at the Paramount, Culture Stock, my kids went to theater camp at Riverfront Playhouse. I worked for APL for four years! Strong Library, strong community. It is a fantastic town of diversity, learning, and culture. With over 42 square miles it is the second largest city in Illinois and of course will have a ratio of incidents. Sad that somebody likes to create one of them when there is enough in this world to handle as is. Let your manpower go to what is needed!! I live in Naper and we have incidents and issues that happen....but people love to love us and don't usually comment so much on the negative that happens in this town too. But step over here and there is just as many issues and just as many challenges. We just got a little bit better at plasticizing it and/or wearing really great makeup and designer clothes to hide it. But our schools still have drugs, families still feud, economics don't buy happiness and Mr. Pants on Fire might need to be schooled a little bit on random gossip. I can ONLY guess that this person was somebody just seeking attention on his social media for lack of a better development of self. Your column was shared on social media from friends......and I'm glad! Keep writing. Thank you Chief for setting the record straight. As a 9-1-1 dispatcher, we hear great tales all the time only to find out later it wasn't exactly as described to us...making our credibility suffer (thank goodness for recording EVERYTHING!) in the eyes of the very officers we take care of. It's nice to see karma in action. Thank you for sending a Detective out to call Mr. R's Bluff. We have enough hate in this world, that we do not need to be making it up too. Thank you for your service and dedication to Aurora. I wish I would have been on the doorstep when the Detective asked Mrs. R how she enjoyed the show. Downtown Aurora is a great place. I have never felt unsafe there! We love to attend concerts at the park and walk around by the river. It's beautiful. My husband and I are avid Paramount patrons, and have attended on average 15 - 20 performances per year over the past 12-ish years. I have never felt remotely ill at ease in walking the area around the theater. We have watched the transformation of the downtown area over the years, which has made it more and more attractive and pleasant. I do not understand what Mr. R's motovation would be to have fabricated such a story. It's a shame that resources had to be wasted to investigate, but at the same time, money well spent. All I can think to add is I❤️Aurora's downtown 'theater district' and shame on you Mr R!